The words, Paradigm shift is a common enough phrase; one that we often come across in life. However, what does Paradigm mean exactly? Paradigm refers to an example or pattern. It can also be a theory or a group of ideas about something. It may even work as a set of instructions or a model for how something must be done. It can include a set of assumptions, concepts, values, and practices that may help define a way in which to view reality or view the logic of the society. Paradigm can be very versatile. It can be a model or template, or it can be a set of ideas, or it can be a way of thinking. However, the connotation of the word can be positive or negative. For example, while all the previous definitions are mainly positive, paradigm can also refer to a way of thinking which can occasionally lead to misleading inclinations or a prejudice. The word paradigm was established between 1475 and 1485. It was derived from the Ancient Greek, parádeigma, which means pattern. Since ancient Greece, the word has had the same meaning, which is very rare in linguistics. 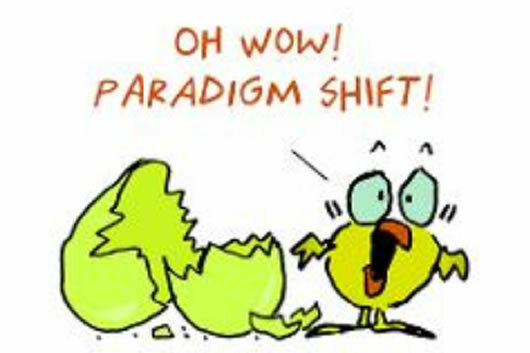 A paradigm shift refers to an instance where the manner of looking at things or doing things has been changed. For example, where an institute implements a new policy, especially one that contradicts the previous one, then that is considered a paradigm shift.